The NA-37 is an automated aircraft noise monitoring system. The system has a feature for reliable identification of aircraft noise, while its compact dimensions make it suitable also for mobile use. Measurement is fully automatic and continuous 365-day all-weather operation is supported. The system is designed to be utilized for long term aircraft noise monitoring. 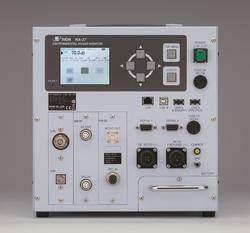 · Support for using GPS (option) for automatic time correction and acquisition of position information useful for mobile use. 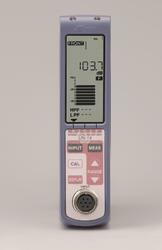 The Rion UN-14 Sound Level Meter unit is a standalone continuous noise measurement unit which expands into a Multi-Channel measurement system of up to 16 channels. The Rion UN-14 Sound Level Meter can also be combined with the Rion UV-15 Vibration Level Meter Unit to provide a combination of continuous Sound and Vibration measurement. Boasting TEDS compliance, it allows the user to connect any TEDS compliant microphone and begin measurements. Its design allows for Rack mounting to conveniently install the unit in shop floor or laboratory conditions.